Bathroom fitting can be a daunting task. A high-standard contractor is needed in order to create a functional, visually appealing bathroom that will continue to be reliable after installation, and that can be difficult to find in the Walsall area. S.P Taylor specialise in professional bathroom refurbishment. 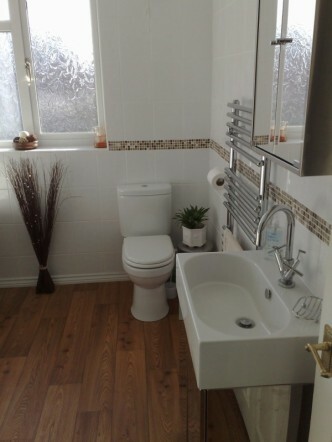 If you live in or around Walsall, we are happy to help you get your dream bathroom fitted. We specialise in creating a new, designer bathroom while keeping the price affordable. 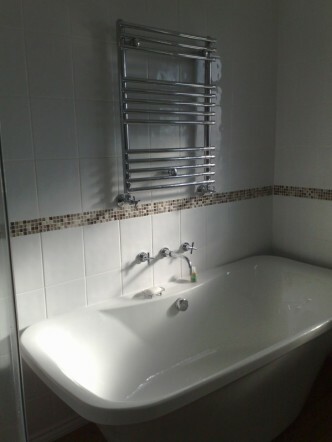 Our services are carried out by some of the best bathroom fitting tradesmen in the region. Our team will organise everything from the top down; spotlights, plastering and even tiling will be sorted by our team of bathroom fitters. We will always make sure you are fully aware of any costs, and any time or legal requirements needed to complete the job. Whether you are looking for a full re-design, or a new shower, or simply a basic repair job, feel free to contact us for a quote or more information. We look forward to hearing from you.